Nadal retires against Del Potro ! The Spaniard suffers a right knee injury and couldn't play 100% his tennis. 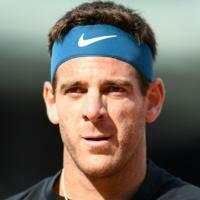 Del Potro is back in final !